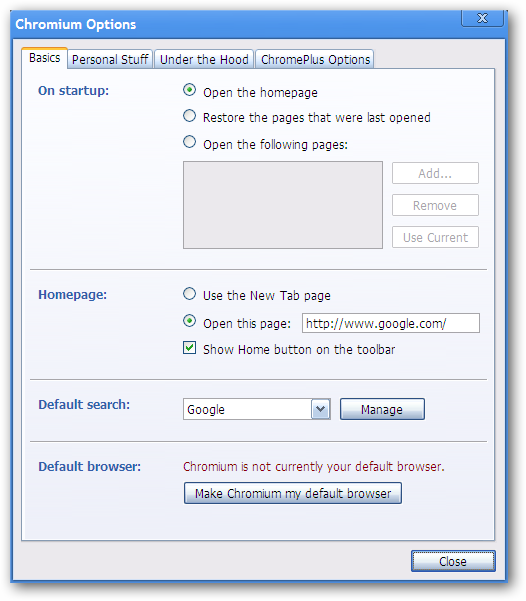 Do you love using Google Chrome but wish that it had some extra features built in? Now you can still enjoy all of that Chrome goodness and more with ChromePlus. Curious about what those extra features are? 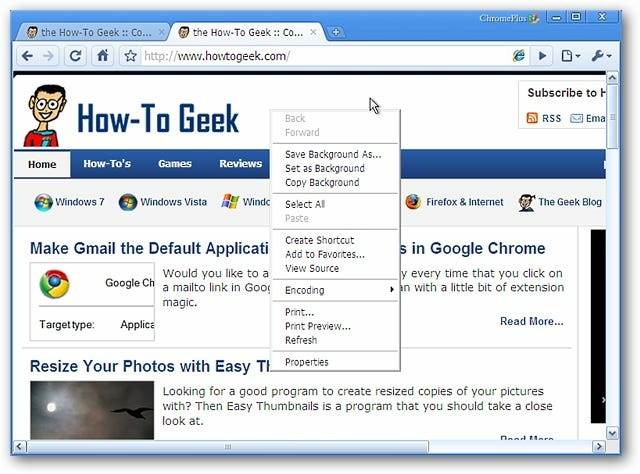 They are: Double click tab to close page, Mouse Gestures, Super drag (new tab creation for links and text search), IE tab, & Download tools supported in context menu. Note: Make certain to select the “Start Menu” shortcut creation while installing…the only one selected by default is for the “Desktop”. Once you have completed the quick and easy setup, you will see the following window. 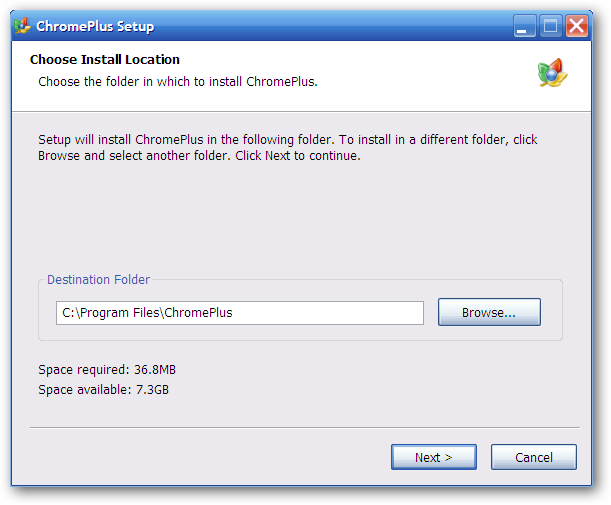 ChromePlus will give you the opportunity to customize what information is imported and to make it the default browser. As you can see, ChromePlus looks identical to Chrome except for the ChromePlus Icons. The “Home Button” is displayed by default, so do not be surprised to see it there. Curious about which version you have installed? 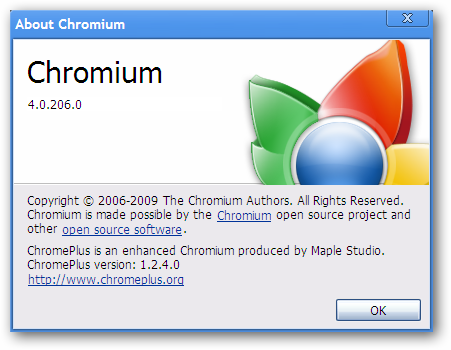 In the “About Window” you will be able to see the Chromium build used and version of ChromePlus that you have installed. Definitely good information to have. But the “Tools Menu” has some differences! 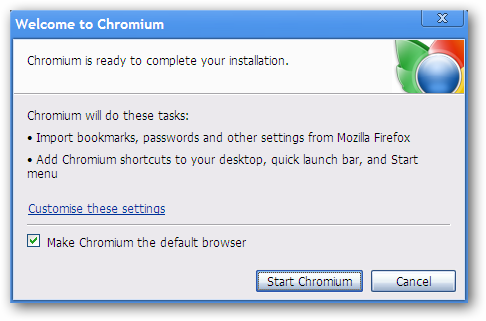 There are two extra commands here…“New IE Tab & Check update”. 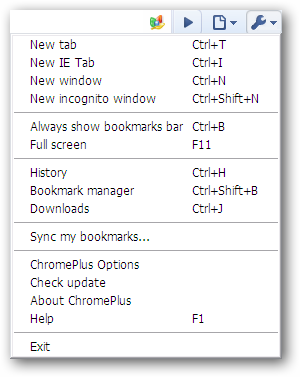 Notice that the “Sync my bookmarks…” command is available in ChromePlus. 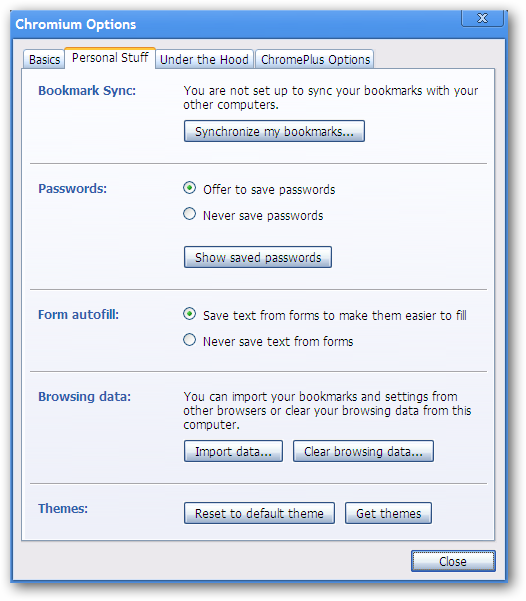 You may or may not want to deselect the first three options shown under “Privacy” in the “Under the Hood Tab” area depending on your personal preferences. Here is the remaining part of the “Under the Hood Tab” area. And now for the extra tab! 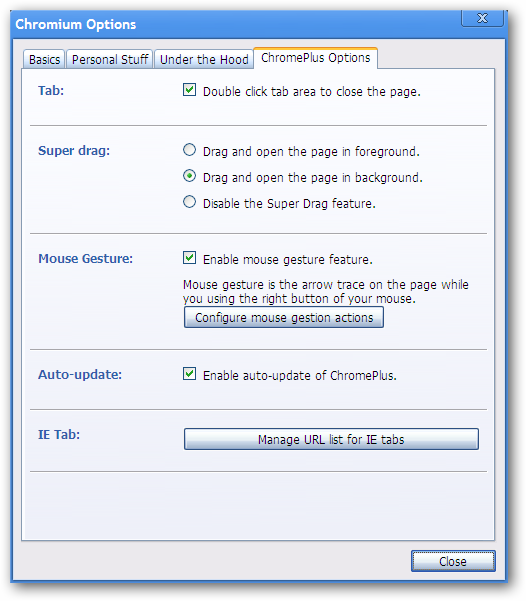 In the “ChromePlus Options Tab” area you can choose to use double clicking to close tabs instead of using the “x”, what you would like to do with the “Super drag & Mouse Gesture” features, if you want auto updating enabled, and create a customized URL list for the IE Tab feature. If you are curious about “Configuring mouse gesture actions”, this is what your window will look like. 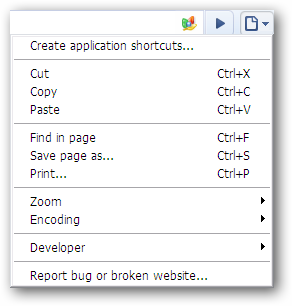 The drop down menus make it very easy to set up your own personalized set of mouse gestures (very nice!). 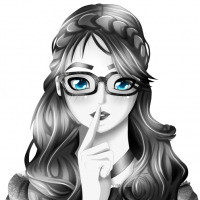 Want to build that custom URL list? Just type or paste in the URL and click “Add”. Note: The “scrunched up” button is the Delete Button…it did not want to display correctly on our example system. 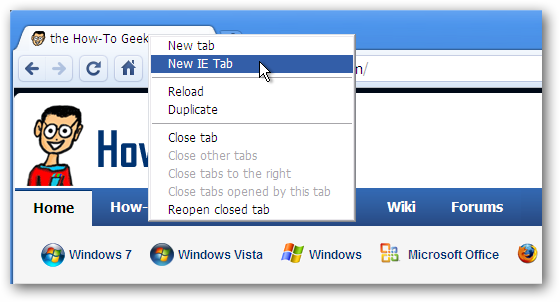 Want to open a New IE Tab? 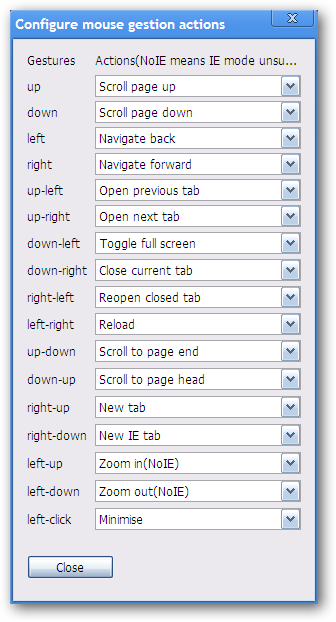 Use the Tab Right Click Menu to quickly open a new blank one. 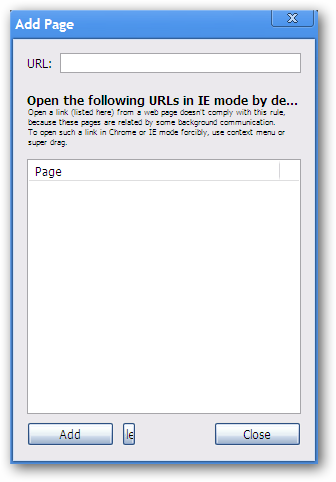 Or open the current page in an IE Tab by clicking on the ChromePlus Icon. Notice anything different? Look at the end of the “Address Bar”…one nice little Internet Explorer Icon on display. 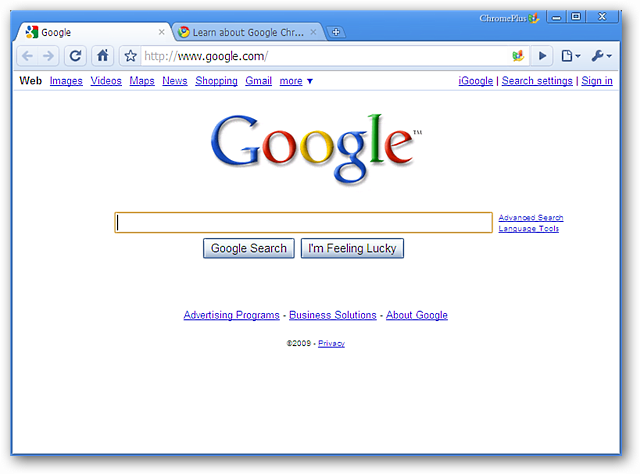 You will always be able to tell which type of tab that you have open based on the “Address Bar” Icon. Right Click in the webpage itself and look at the Menu that you have access to. Look familiar? And now for the Download Tool support. You can see the extra services that are supported, but to use them you will need to have them installed to access them in the “Context Menu”. 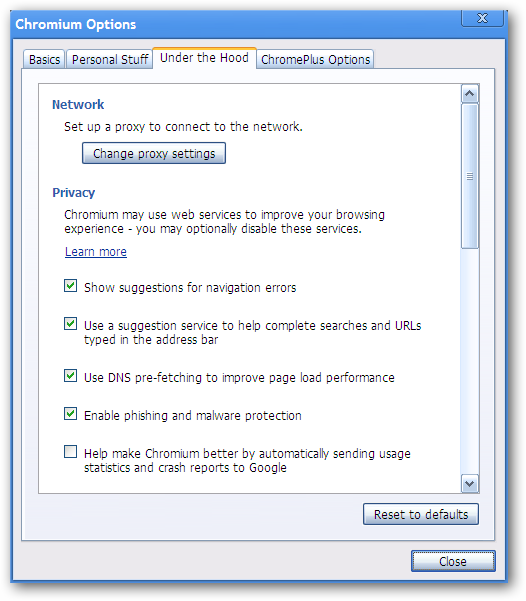 If you love using Google Chrome, but really want or need the IE Tab integration and other features, then ChromePlus is just might become your new default browser!